St. Charles Parish News - Book Review: "The Hobbit"
The Hobbit by J.RR. Tolkien takes place the year 2941 in Middle Earth. The Hobbit is a story about the quest to the Lonely Mountain to take back the dwarves’ treasure from a dragon named Smaug. The story unfolds while following a little hobbit named Bilbo Baggins who accompanying Gandalf the Grey (a wizard of Middle Earth), Thorin (King of the dwarves from the Lonely Mountain), and his company of dwarves plan to get their treasure back from Smaug. The group must journey across the Wild, over the Misty Mountains, and through the Mirkwood Forest while having many run-ins with goblins, elves, humans, wolves, bears, eagles, giant spiders, and many more creatures on their journey. The Hobbit is an exquisite piece of literature that I would rate an 8.5. I really took delight in reading this book, for it had an enjoyable story line. I would recommend this book to anyone who enjoys fantasy novels or enjoys the story of the Lord of the Rings. 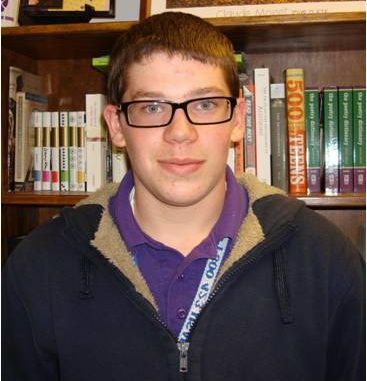 Kaleb Champagne is a junior year in the Gifted program at Hahnville High. He enjoys shooting archery, participating in Boy Scouts, seeking to learn beyond school, and serving others. Editor’s note: Book reviews are published regularly in agreement with Hahnville High School gifted English teacher Deborah Unger in conjunction with the Brown Foundation Service Learning Program.